BIEM is the Bureau International des Sociétés Gérant les Droits d'Enregistrement et de Reproduction Mécanique. It is the international organisation representing mechanical rights societies. Mechanical rights societies exist in most countries. They license the reproduction of works (including musical, literary and dramatic works). The reproductions may take place by way of the manufacture of a CD or DVD or through digital means such as downloads from the Internet. The members of mechanical rights societies are composers, authors and publishers. What are Mechanical Rights ? The term "mechanical right" dates back to the time when all reproductions of music were carried out by mechanical processes. Even though nowadays reproductions are carried out in a variety of electronic and digital ways, the term "mechanicals" has become enshrined into industry jargon. What do Mechanical Rights Societies do? Every time a protected work is reproduced, a license is required from the owner of the works. Royalties are payable for each copy. The mechanical rights societies issue the licenses and collect the royalties which they distribute to the owners of each work. Note that Internet uses often also require a licence from the relevant Performing Rights Society. 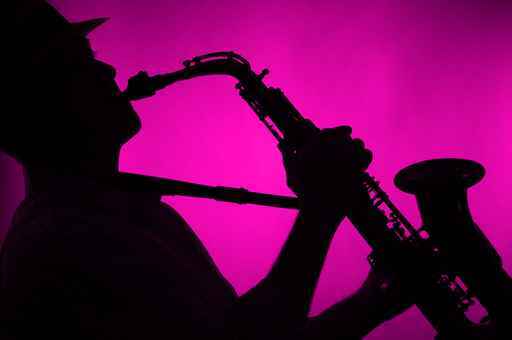 The use of sound recordings may require the licence from the owner of the copyright in the sound recording usually a record company or artist. Who are the members of BIEM? BIEM represents 53 societies, from 58 countries. Members of BIEM enter into agreements to allow each of them to represent the others' repertoire of protected works. In this way, a BIEM society is able to license users for the vast majority of songs in the world. Where can I get a mechanical licence? 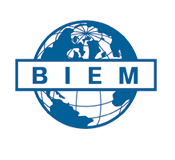 BIEM was formed in 1929. Originally it exercised the licensing function on behalf of its European members but in 1968 those responsibilities reverted to the individual societies. BIEM's role is to assist in collaboration between its member societies and to help in solving problems that arise between individual members and between members and user groups. BIEM represents and defends the interests of its member societies, particularly in forums relating to authors' rights such as WIPO, UNESCO, TRIPS (http://www.wto.org) and the WCO (http://www.wcoipr.org). BIEM negotiates a Standard Agreement with representatives of the International Federation of the Phonographic Industry (IFPI) fixing the conditions for the use of the repertoire of the societies by record producers. The Standard Agreement is applied by the member societies to the extent that there is no compulsory licence or statutory licence in their territory. What is the BIEM rate? The royalty rate agreed between BIEM and IFPI for mechanical reproduction rights is 11% on the Published Price to Dealers (PPD - the highest price charged by a record producer to a retailer selling directly to consumers) and concerns physical audio products only (see BIEM/IFPI Standard Contract). Two deductions are applied on the gross royalty rate: 12% for rebates and discounts and 10% for packaging costs. This results in an effective rate of 8.712% of PPD. Rates for audio-visual use of protected works are negotiated on a territory-by-territory basis, as are rates for Internet and other usage. How is the minimum royalty calculated? The Standard Contract provides for a minimum royalty equal to two thirds of the normal royalty rate. There is also provision for a minimum budget royalty equal to 57% of the normal minimum royalty and concerns only re-releases of carriers not less than one year after the original release, priced at least 35% below the original price. Where is the Standard Contract applied? The Standard Contract is a worldwide contract. Through their membership to BIEM, societies are bound to enforce the Standard Contract in their respective territories of exploitation but only to the extent that there are no statutory or compulsory provisions in force. For example, countries such as the USA, the UK & Australia all have compulsory licensing provisions in their Copyright Law and various national methods of setting the applicable rate (see the BIEM statutes). When will the Standard Contract expire? The Standard Contract can be terminated by either party to end at the earliest by 30th December 2016. Unless so terminated this Contract continues to be in force after 31 December 2016 one calendar year at a time until it is terminated by either Party with 6 (six) months notice period. What about mobile phone ringing tones? The use of fragments or entire musical works as phone ringing tones involves both performing and mechanical rights. In many territories the local Mechanical Rights Society can grant the necessary authorisation for ringing tones. There is no Standard Contract for ringing tones. How are blank tape levies dealt with? These are set on a national basis. The General Secretariat of BIEM is based in Neuilly-sur-Seine (France). The Central & Eastern European Regional Office is based in Budapest (Hungary).